MUNCIE, Ind. 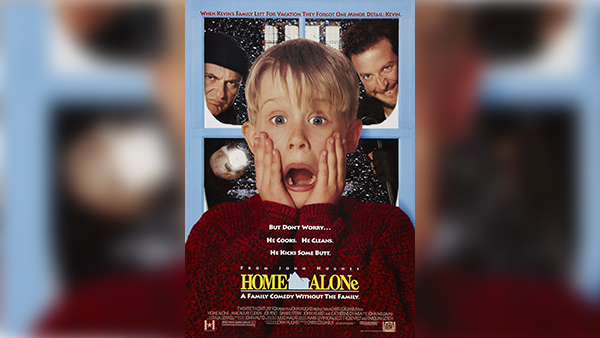 -- Police in Muncie, Indiana, said they found a 7-year-old boy and his 4-year-old brother watching "Home Alone" while their mother was away at work. WRTV reported that police received an anonymous phone call that two children, aged 7 and 4, had been left alone in the home in the 1800-block of South Franklin Street. When police arrived, the boys were watching "Home Alone." When police contacted their mother at work she told them she had done this before, but rarely. She was arrested on two felony charges of neglect of a dependent. The boys were placed in the care of an aunt. The mother has been booked into county jail.